Monoarthritis can be inflammatory or non-inflammatory, and can be acute or chronic. A thorough history and physical examination can differentiate inflammatory from non-inflammatory monoarthritis. The most common causes of acute inflammatory monoarthritis are infectious arthritis, crystal induced arthritis (gout and pseudogout). Examination of synovial fluid often is essential in making a definitive diagnosis. Immunoinflammatory diseases like rheumatoid arthritis, systemic lupus erythematosus, spondyloarthritis, Behηet's disease, and reactive arthritis can all begin as acute inflammatory monarthritis. Synovial biopsy is useful to diagnose chronic infections like tuberculosis and brucellosis. In order to arrive at a final diagnosis other organ systems should be thoroughly reviewed, because other systemic illness like sickle cell disease, thalassemia, sarcoidosis can all cause monoarthritis. Antiphospholipid syndrome is being increasingly recognized as a disease with a myriad of clinical manifestations ranging from recurrent thrombosis and pregnancy morbidity to valvular lesions, transverse myelitis, thrombocytopenia and hemolytic anemia. It may be primary or secondary, i.e., associated with other autoimmune diseases. The latest classification criteria (Sydney 2006) recognize just three tests to define this syndrome-lupus anticoagulant, anticardiolipin antobodies and anti β2 glycoprotein 1 antibodies. Treatment of thrombotic events involves lifelong anticoagulation with vitamin K antagonists like warfarin. Antiphospholipid antibody syndrome (APS) with only pregnancy morbidity is treated with thromboprophylaxis using heparin during pregnancy and postpartum for 6 weeks. Catastrophic APS occurs in approximately 1% of APS, and is characterized by microvascular thrombosis (thrombotic storm) and organ dysfunction. In this review we discuss the pathogenesis, diagnosis, treatment and prognosis of the APS. Systemic lupus erythematosus (SLE) is a chronic autoimmune disease affecting multiple organ systems. 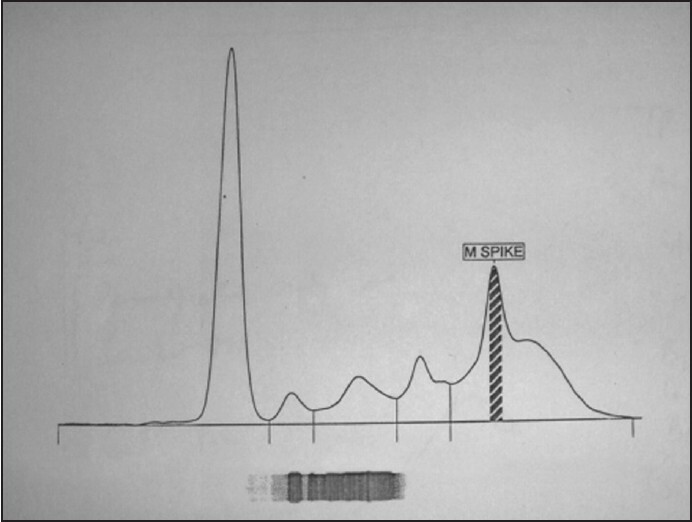 In the past 40 years, prognosis for patients with SLE has improved significantly because of advances in the understanding of molecular mechanisms involved in the pathogenesis of disease, which has translated into early diagnosis and novel therapeutic strategies. 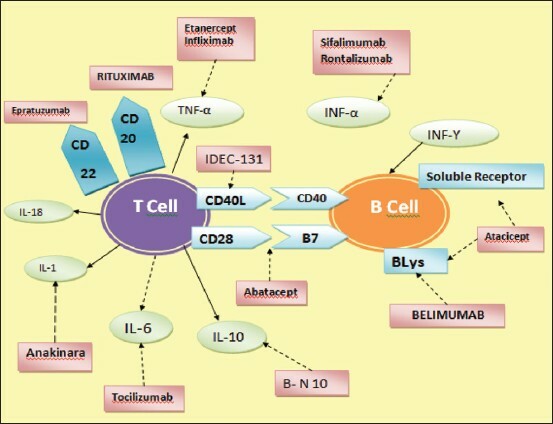 This article will focus on three aspects that have shaped this transformation, namely; a revisit to diagnostic criteria, development of newer biomarkers, and incorporation of newer targeted therapies. Systemic lupus erythematosus (SLE) is a chronic inflammatory autoimmune disease characterized by multisystemic involvement. Neuropsychiatric manifestations are found in 50-70% of SLE patients. These manifestations include mild cognitive dysfunction, mood disorders, headache, depression, anxiety, seizures, psychosis, acute confusional states, and delirium, to life-threatening coma. Psychiatric symptoms as an initial presentation of SLE are rare and difficult to diagnose. We present the case of a 23-year-old woman, who developed the catatonic syndrome for the first time during hospitalization for lower respiratory tract infection, and she was eventually diagnosed with SLE. Her catatonia responded well to oral corticosteroids, lorazepam, risperidone, and modafinil. This case illustrates the importance of considering medical causes (SLE) in the diagnosis and treatment of the catatonic syndrome. The recognition of SLE as a cause of catatonia is essential for its optimal management. Systemic lupus erythematosus (SLE) is a rare autoimmune disease associated with multi-organ damage mediated by tissue-binding autoantibodies and immune complexes. Common ocular manifestations of SLE include nonspecific conjunctivitis, anterior uveitis, or iridocyclitis, which rarely threaten vision. 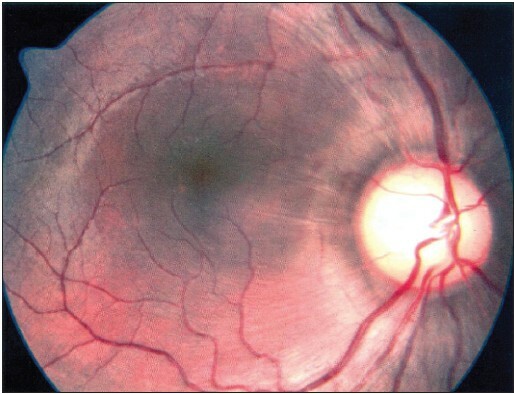 In contrast, retinal vasculitis and optic neuritis are serious manifestations. 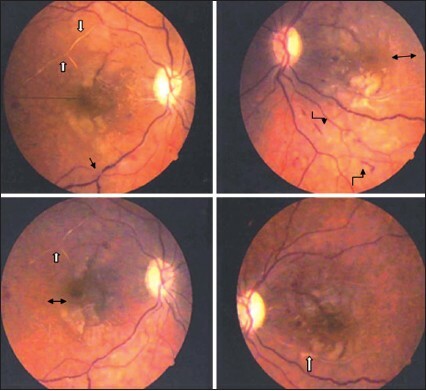 Branch retinal arteriolar occlusion (BRAO) and branch retinal vein occlusion (BRVO) in patients younger than 30 years of age is rarely caused by atheromatous diseases. Other diverse etiologies are more likely to be inflammatory and infectious conditions. Here, we have report a case of a 17-year-old woman with SLE and hypocomplementenemia, who presented with sudden loss of vision. A rare presentation of SLE is found as combined BRAO and BRVO in both the eyes (OU). Despite advances in the understanding of pathophysiology of SLE, its complications remains enigmatic and, in some instances, it may be multifactorial. Early accurate diagnosis and aggressive immunosuppression is recommended, which helps in the management and preservation of the vision. Background: Hypertension and diabetes are closely related morbidities. Uncontrolled blood pressure in diabetic patients can pose severe threat to life. An attempt was made to screen for hypertension among diabetics and also to predict their risk for stroke or myocardial infarction. Material and Methods: Community-based cross-sectional study was conducted in an urban slum of Mysore. Data was collected between July and August 2011. Known diabetics residing in this area were included in the study. Socio-demographic information of diabetic patients, physician's conduct in identifying hypertensives, advice for blood pressure check-up, and the extent of patient's compliance to advice were assessed. Simultaneously subjects were screened for hypertension. Results: The study comprised of 104 patients. Only half of the subjects had an annual blood pressure recording by a physician. Prevalence of hypertension was 64.4% (67), with a known to unknown ratio of 1:2.5. Eleven (10.4%) diabetics with stage III hypertension have a very high risk of stroke and myocardial infarction. Conclusions: Timely diagnosis and management of hypertension among diabetics reduces the risk of cardiovascular complications. Physicians should adhere to guidelines and refocus on issues that influence patient's compliance in monitoring their blood pressure. Filariasis is a major public health problem in tropical countries, including India. The disease is endemic all over India, especially in Uttar Pradesh, Bihar, Jharkhand, Andhra Pradesh, Orissa, Tamil Nadu, Kerala, and Gujarat. A majority of infected individuals in filarial endemic communities are asymptomatic. Adult worms live in the lymphatic vessels of the definitive host and microfilaria is released and circulates in the peripheral blood. Cases of microfilaremia have been reported from atypical sites such as thyroid, lymph node, pleural and pericardial fluid, breast lump, and bone marrow. 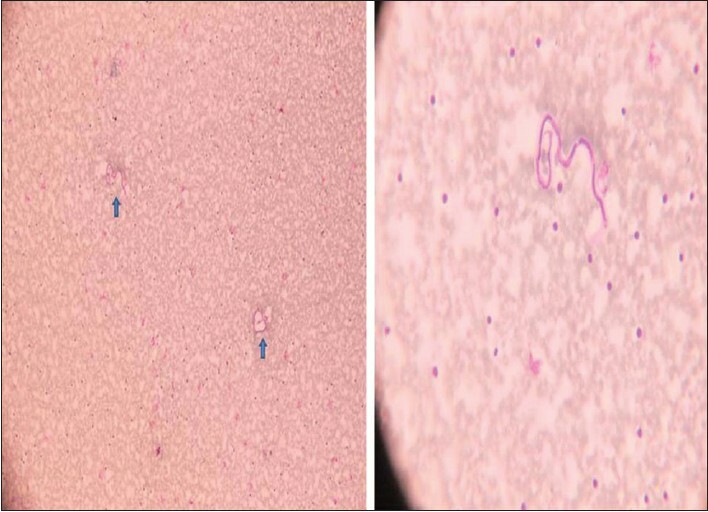 We here present a case of microfilaria in the forearm swelling found on fine-needle aspiration cytology, which is an unusual finding. Autosomal recessive spastic ataxia of Charlevoix-Saguenay is a neurodegenerative disorder characterized by early-onset cerebellar ataxia with spasticity, a pyramidal syndrome and peripheral neuropathy Here, we present a 28-year-old male patient with symptoms of gait instability, distal sensory loss and spasticity since 10 years of age with slow progression and is currently moderately disabled in his daily activities. 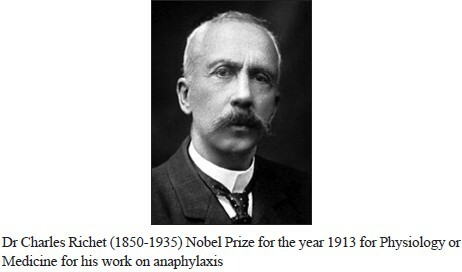 His nerve conduction studies and neuroimaging were consistent with the diagnosis. Our emphasis would be on the specific magnetic resonance imaging features of the entity, which would help narrow down the genetic testing and provide the practitioner with a rather accurate diagnosis needed for prognostication and valuable counseling thereafter. Giant congenital pigmented nevi (<1/20,000 births) occur most commonly on the posterior trunk, but may also appear on the head or the extremities. The appearance of pigmented nevi at birth is not common place. Only 3% of infants are in born with visible nevi. Most of these are small in size, averaging just above 1.5 cm in diameter. We are reporting a case of congenital giant pigmented nevus in a neonate with sacral sinus. Bilateral duplex system with ureteroceles is one of the rarest entities in urology. Incontinence in children is a frequently encountered problem; most often the cause is functional. Less often the cause could be structural such as an ectopic ureter; however bilateral complete renal duplex with bilateral ectopic ureteroceles as a cause of incontinence is even rarer. We herein report a case of bilateral duplex system ectopic ureters with ureteroceles with persistent urinary incontinence despite right upper heminephroureterectomy due to overlooked left dysplastic moiety. This article highlights the importance of thorough clinical and radiological evaluation of contralateral draining system when examining a case of unilateral complete renal duplex system with ureteral ectopia and/or ectopic ureterocele, especially in females to avoid delayed diagnosis. 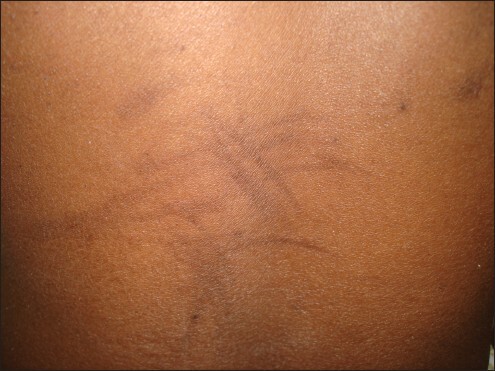 Flagellate hyperpigmentation is a unique complication of systemic bleomycin sulfate therapy. It has an onset anywhere between 1 day and several months after administration for various indications and these eruptions are usually dose-dependent. The dose of bleomycin required to produce such an effect is usually more than 100 U but it can also occur at lower doses also. Herewith, we describe a case with clinical image of ovarian dysgerminoma that presented with typical linear and streaked pigmentation following a very low dose (30 U) of systemic bleomycin therapy which appeared within 24 h of administration and increased gradually after subsequent doses. 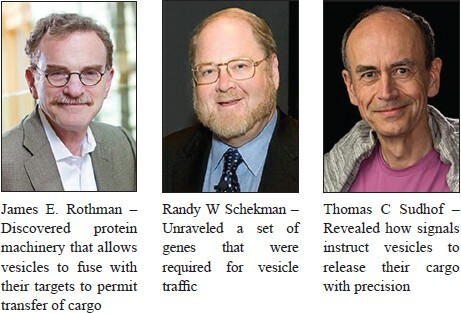 Quantum mechanics and godel's theorem are purely work and concept of physics. When applied to see how ways in which mind works is fascinating, at the same time at a very hypothetical level. Orch or model of consciousness explores neurological basis of consciousness and insight in psychiatric patients as well as in normal patients is also explained. Though many of these are proven concepts in physics and mathematics, there application in understanding of psychiatric phenomenon is still at hypothetical level.